Ten mojito's. Five restaurants. Ten yummy snacks. Thirty people having a great time, all while being chauffeured from location to location by Tampa Bay Brew Bus. This can only mean one thing my friends - Tasting Tampa's Mojito Madness! 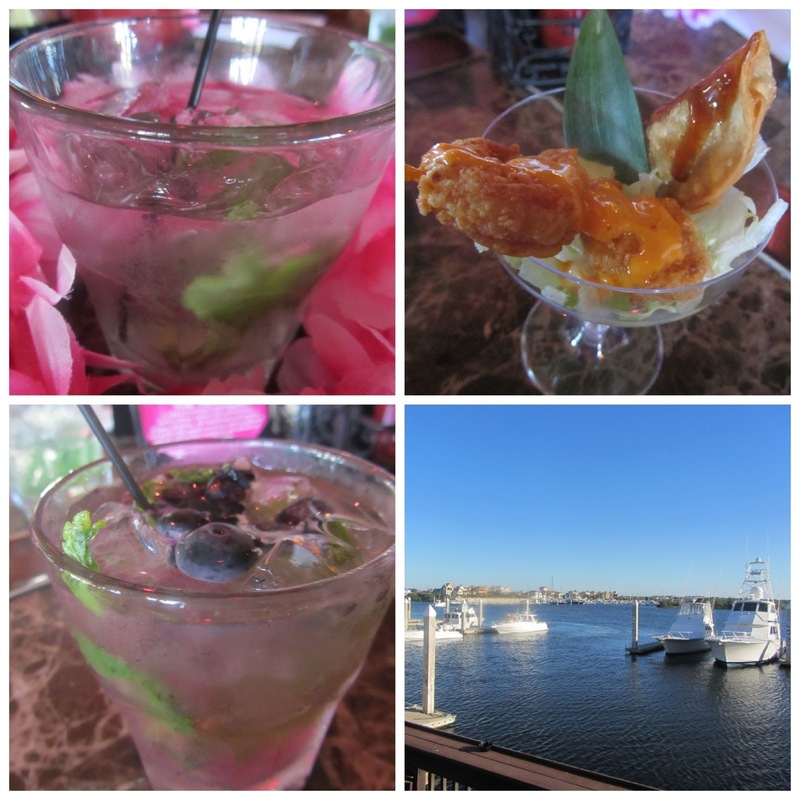 This past weekend, we were on a quest to find the best mojito in Tampa Bay. Siesta Key Rum which is made a few cities away provided the rum for the event. Each restaurant had a duty to make a classic mojito and a creative mojito while pairing them with delicious nibbles. They all did a great job showcasing their talents. We have visited Carmine's a few times as it is in walking distance from our Condo. They have amazing deviled crab and Cuban sandwiches. Carmines brought out our classic mojito paired with Cuban roasted pork. The pork was very good and the plantains were amazing. Next came the creative thin mint mojito and calamari. The thin mint mojito reminded me of a grasshopper and was a nice surprise. This was my first visit to the new South Tampa restaurant. I was instantly impressed the moment I walked in the door. The decor, layout and hospitality of the group is pretty amazing. The bartender went into great detail on how they make their classic mojito's. One sip of the classic and everyone at my table ordered a full sized cocktail. It was that good. The creative mojito was a cucumber and Guanabana (which is pronounced like the muppets manah manah). I love any beverage with cucumbers so it was right up my alley. 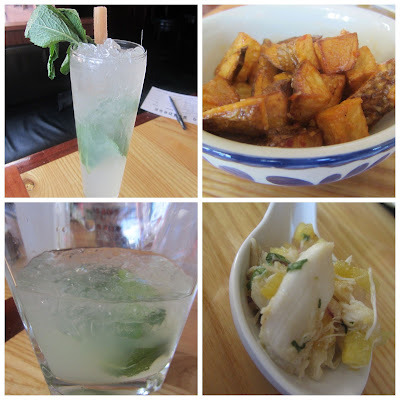 The nibbles were Papas Bravas and Lump Crab Ceviche. I could eat an entire bowl of that Ceviche. It was also time for a photo opp with my buddy Leslie (Dash of Les). Yes, she is wearing a Seminole shirt and I am in a Gator dress. We don't hold that against one other but I have a sneaky suspicion we will not be speaking on November 24th. Stop three was a visit to one of my favorite restaurants in Tampa, Datz. We were greeted with a classic mojito which was simple and elegant in presentation. Our creative drink was the Ho Ho Mojito which was very festive looking. I give it the award for the prettiest drink of the day. Our nibbles from Datz was amazing black bean hummus with plantain chips. We also tried the tostones with two dipping sauces, cilantro aioli and sweet fruit jam. Datz, I want the recipe for that hummus! Next up was another first visit for me - Hula Bay. I was instantly reminded of one of my favorite Saturday hangouts in Daytona, Inlet Harbor. This place has amazing water views and I have been looking for a lazy weekend hangout like this since moving to Tampa. 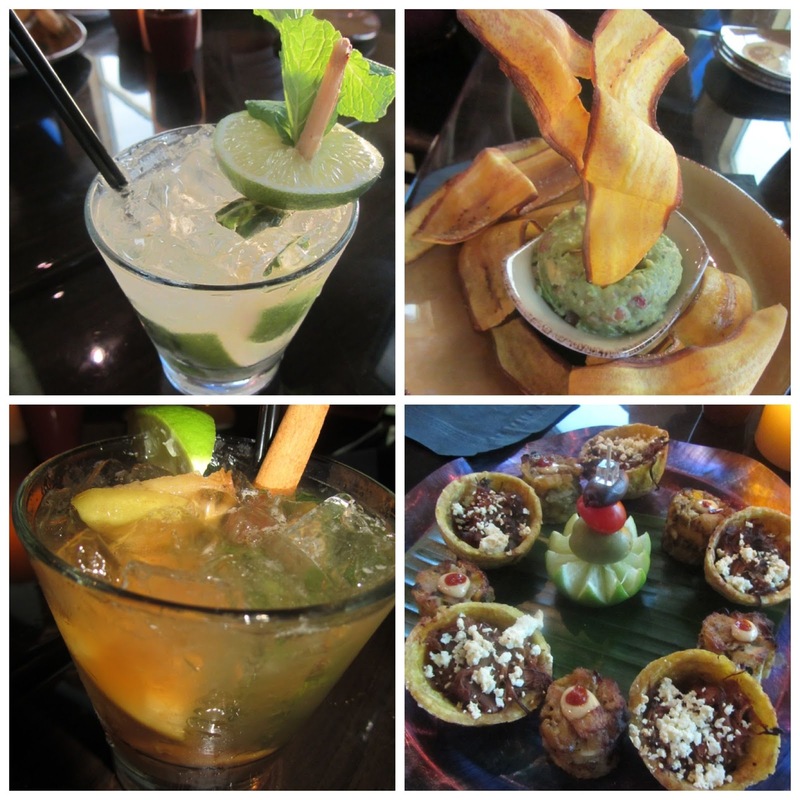 Our classic mojito promptly came out paired with a dual nibble - potstickers and fried shrimp. Our creative mojito was Blueberry and very refreshing. I am not a blueberry fan but could take down a few of these. I am looking forward to trying out Hula Bay for lunch one day. I foresee many buckets of beers consumed at this hidden gem while watching yachts pass by. We finally made it back to Mojitos. Tampa Bay Brew Bus did an excellent job delivering us from location to location. 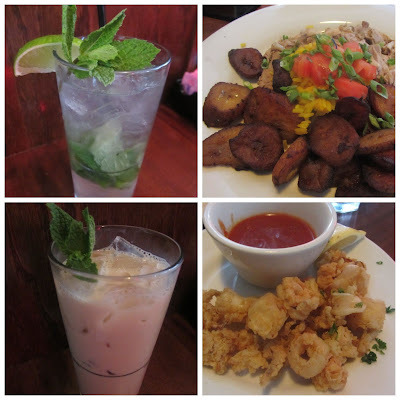 Mojito's is one of my favorite lunch spots as it is near my office and has amazing food. 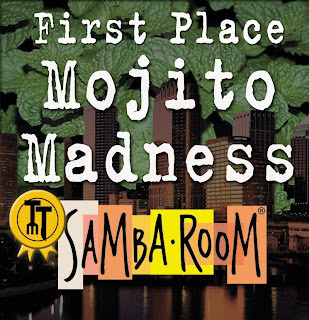 If your restaurant is named Mojito and you are in the Mojito Madness, you better show up to play. That they did. The classic mojito was traditionally excellent. The creative mojito was apple cinnamon, something I will go back for again. Our nibbles included guacamole with plantain chips which was as delicious as it was pretty along with a serving of Tortitas de Plantano paired with Tostones de pollo. Mojito's showed up to live up to their name. We voted on range of 0-5, 0 was "meh" and 5 was Mind Blowing. We voted on the classic, the creative and the nibbles. I will not reveal all of my scores but I will state that first and second place were very close in my book. My first place restaurant scored all 5's in my book and apparently the rest of the group agreed. 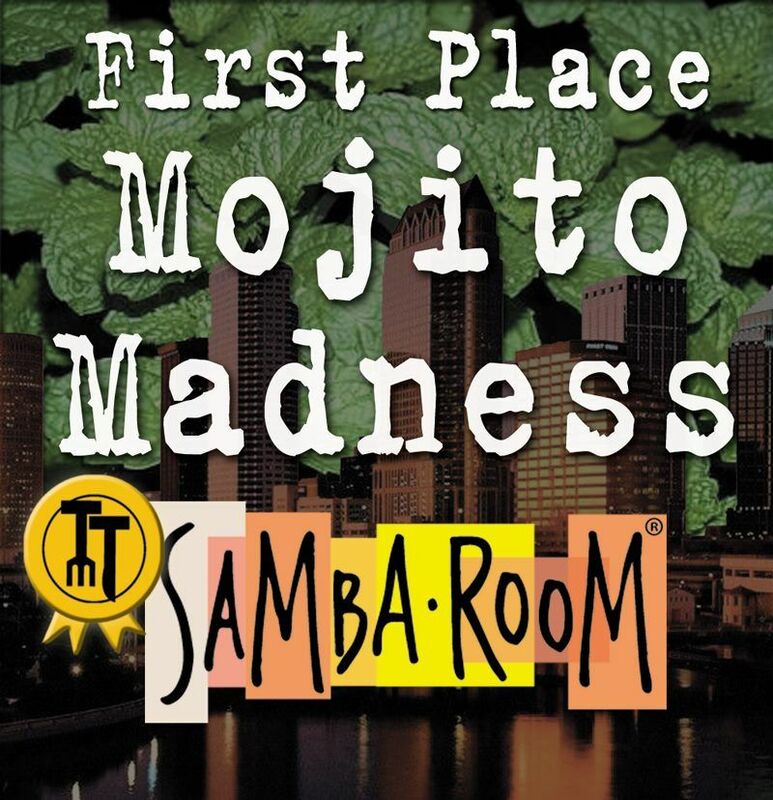 Congrats to Samba Room! Make sure you are following Tasting Tampa on Facebook as the next Touring Tampa event will take place in December.....the Cocktail Countdown! 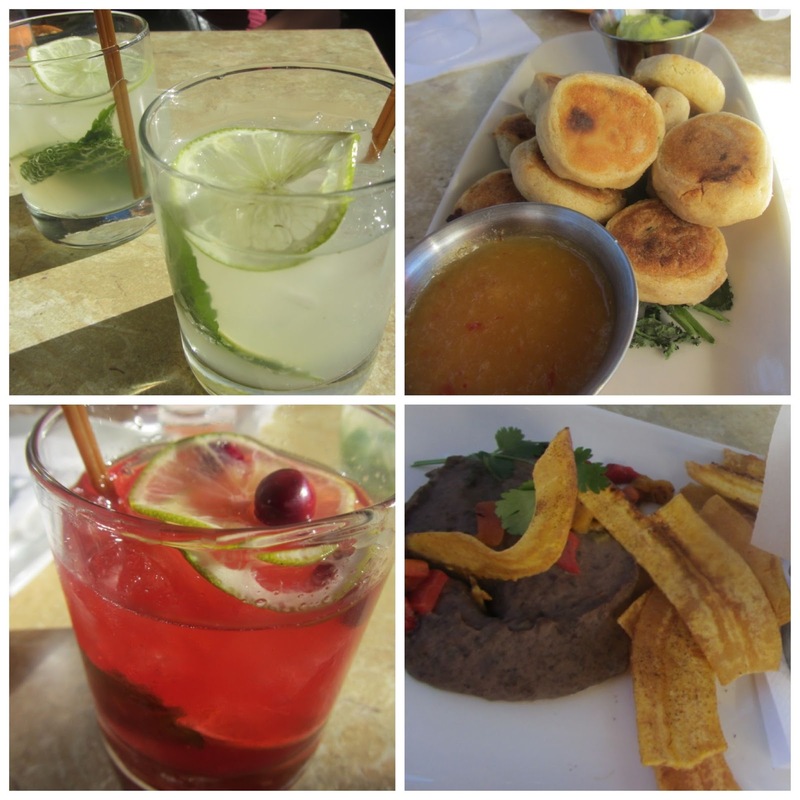 We will explore some of the best drinks Tampa has to offer! You do not want to miss out on that one.